There’s Something About a Rainbow! Don’t you just love seeing a rainbow? Whether in the sky or in some artwork, there’s something about a rainbow that really brightens my day! 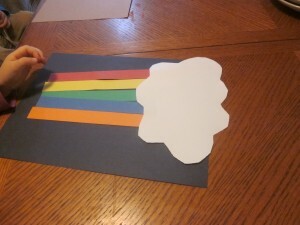 This rainbow craft is perfect for St. Patrick’s day and perfect for even the youngest toddler hands! Let’s get started! My crew is pretty young (ages 1-3), so I got the supplies ready ahead of time for them. 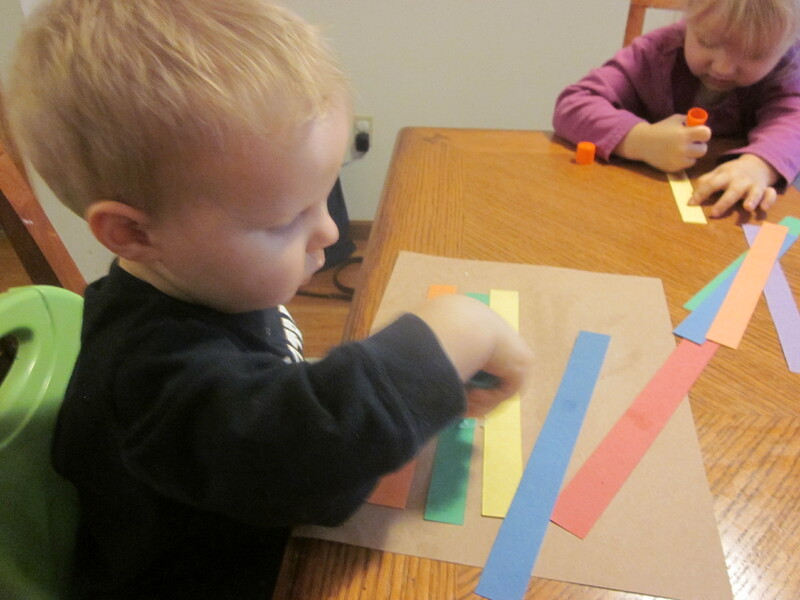 If you have older kids, you could have them use a ruler to draw lines on the construction paper and then cut out the strips themselves. 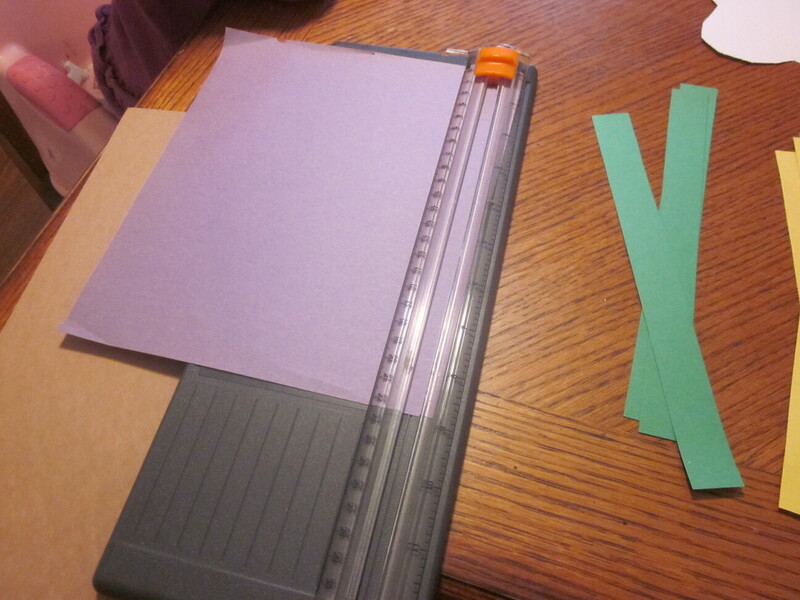 I used the paper cutter to make it quick and easy! 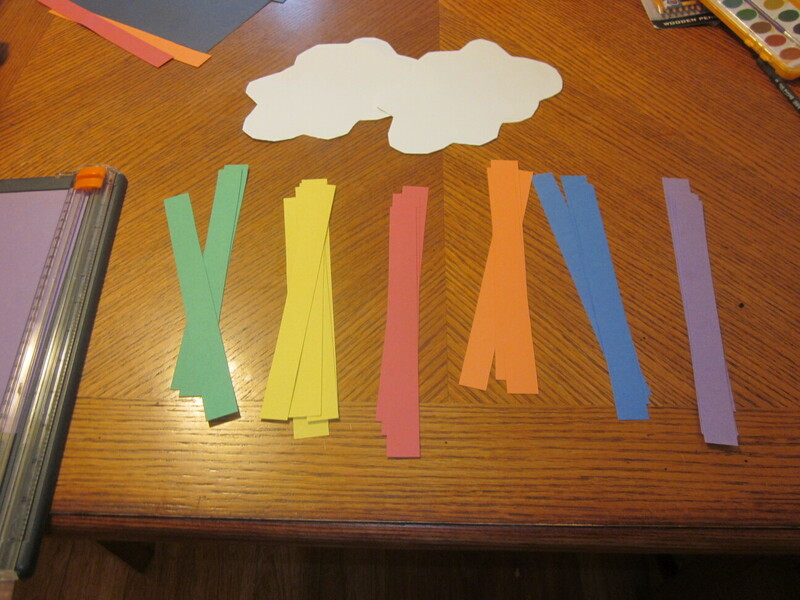 You’ll need one strip of each color per child, plus a white cloud. If you want to make it very St. Patrick’s day themed, you could also make a little pot of gold, but we opted to skip that part. 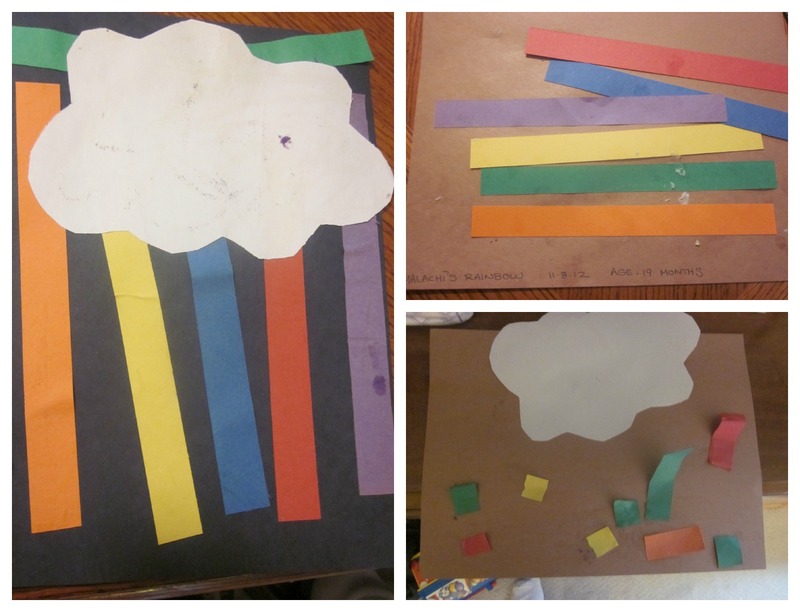 I made a QUICK sample craft (didn’t even glue it) just to show the kids what to do. As you can see, I didn’t worry about colors being in the right order, because obviously the kids weren’t going to worry about it either! 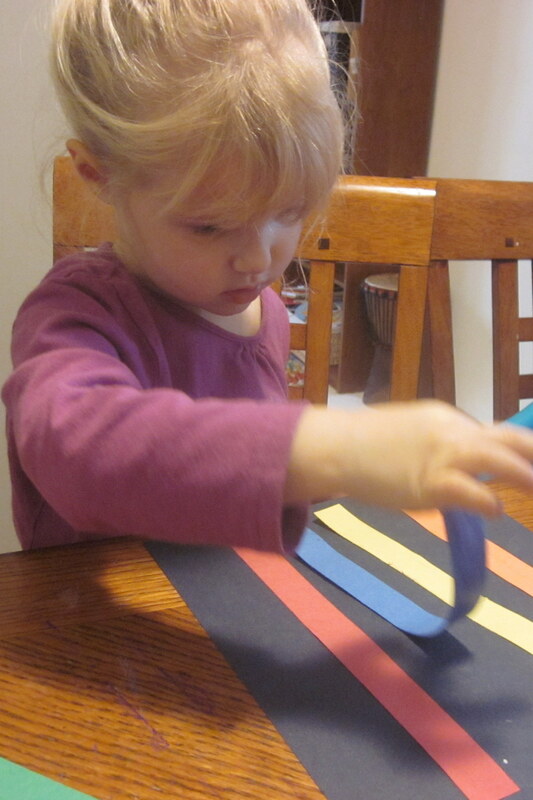 Now the kids got to work, gluing strips in place! 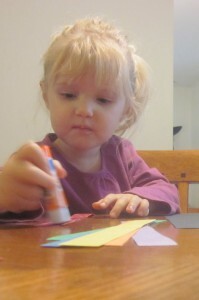 Even the “baby” (18 months) loved this project! I think he did a pretty good job too. 🙂 Not that I’m biased or anything. Every strip must be laid with care! What kind of St. Patrick’s Day fun are you planning? 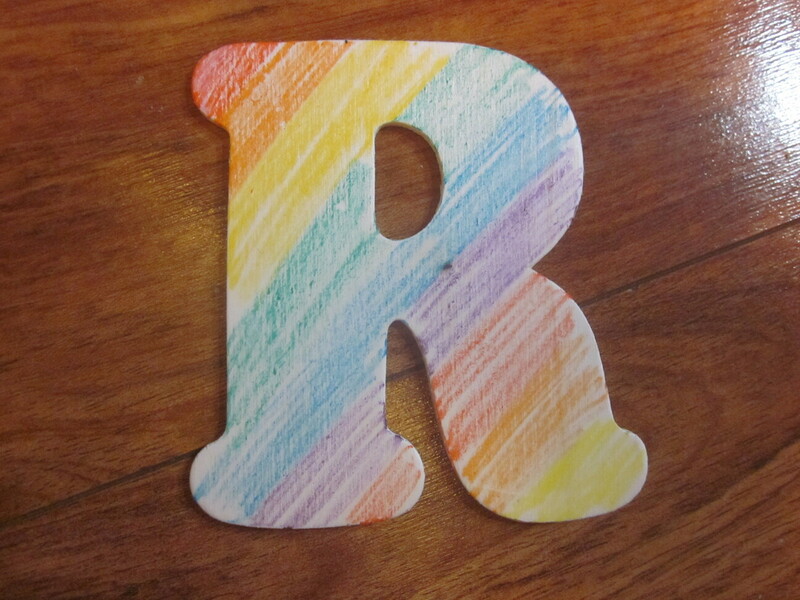 Sweet, Rainbow crafts are lovely!